* Current estimates suggest that nearly 600,000 people need treatment for heroin addiction. 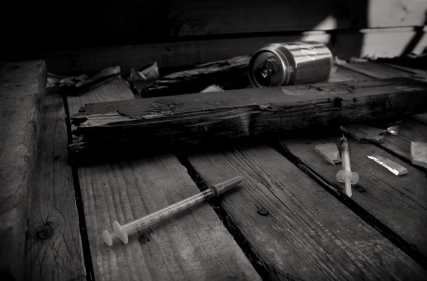 * The average heroin addict spends between $100 and $200 a day to support their heroin addiction. Street-level heroin usually sells for $10 per dose, although prices vary throughout the country. * According to What America’s Users Spend on Illegal Drugs, heroin expenditures were an estimated $22 billion in 1990, and decreased to $10 billion in 2000. * Heroin statistics show that during 1990, Americans consumed 13.6 metric tons of heroin. Current estimates of heroin consumption remain relatively unchanged and show that 13.3 metric tons of heroin were consumed in 2000. * South American heroin is the most prevalent type of heroin in the United States. Colombian criminal groups, operating independently of major cocaine cartels, dominate the smuggling of South American heroin into the United States. Others involved in the transportation of South American heroin include Bahamian, Dominican, Guatemalan, Haitian, Jamaican, and Puerto Rican criminal groups. Heroin Statistics: Who’s Using Heroin? * The Centers for Disease Control (CDC) reports that teenagers reporting heroin use in their lifetime is declining. Amongst 12th graders, the number has come down from 3.0 percent in 2001 to 2.0 percent. The total number of teenagers that report using heroin in their lifetimes has dropped from 3.1 percent to 2.4 percent since 2001. This shows progress. * According to the National Survey on Drug Use and Health (NSDUH), teenagers have reasonably easy access to heroin. 29.7 percent of 12th graders say that it is easy to obtain. Even 8th graders (12.6 percent) say that they can obtain heroin. However, there are other drugs, such as prescription drugs and marijuana that are much easier to obtain than heroin. * According to heroin statistics from NSDUH, in the last year about 91,000 persons over the age of 12 used heroin for the first time. Amongst recent first time heroin users, aged 12 to 49, the average age was 20.7. This indicates that many heroin users wait until they leave their teenagers years to begin using the drug. * Among college students surveyed in 2001, 1.2% reported using heroin during their lifetime and 0.1% reported using heroin in the 30 days before being surveyed. Of those young adults surveyed between ages 19 and 28, 2% reported using heroin during their lifetime and 0.3% reported using heroin within the 30 days before being surveyed. Heroin Statistics: How is Heroin Used? + Runny nose or constant sniffing. + Needle marks on arms - and even on legs. + Speech is sometimes slurred. + Very little motivation, and no desire to form future plans. + Displays of hostility toward others. + Possession of drug paraphernalia. * Heroin statistics reveal that over 80% of heroin users inject with a partner, yet 80% of overdose victims found by paramedics are found alone. * The average heroin dependent person uses between 150 - 250 milligrams per day, commonly divided into 3 doses. * Typically, a heroin abuser may inject up to four times a day. Intravenous injection provides the greatest intensity and most rapid onset of euphoria (7 to 8 seconds), while intramuscular injection produces a relatively slow onset of euphoria (5 to 8 minutes). When heroin is sniffed or smoked, peak effects are usually felt within 10 to 15 minutes. NIDA researchers have confirmed that all forms of heroin administration are addictive. * Heroin statistics from the 1999 National Household Survey on Drug Abuse suggests an increase in purity is partly responsible for 75 percent of new heroin-addicts who are snorting and smoking, not injecting, the opiate. In 1991 that number was 46 percent. * According to the Drug Abuse Warning Network, or DAWN, heroin and morphine (which cannot be told apart by medical examiners after the body metabolizes the chemicals) accounted for 51 percent of drug deaths ruled accidental or unexpected in 1999. * In 2000, as part of DAWN's Year-End Emergency Data report, heroin related emergency room visits increased by 15 percent from the year before. * According to heroin statistics from the Drug Abuse Warning Network (DAWN) emergency department (ED) data, there were 93,064 reported mentions of heroin in 2001, an increase of 47.4% since 1994. * In addition to the effects of the drug itself, street heroin often contains toxic contaminants or additives that can clog the blood vessels leading to the lungs, liver, kidneys, or brain, causing permanent damage to vital organs. * A striking finding from the toxicological data was the relatively small number of subjects in whom morphine only was detected. Most died with more drugs than heroin alone 'on board', with alcohol detected in 45% of subjects and benzodiazepines in just over a quarter. Both of these drugs act as central nervous system depressants and can enhance and prolong the depressant effects of heroin.